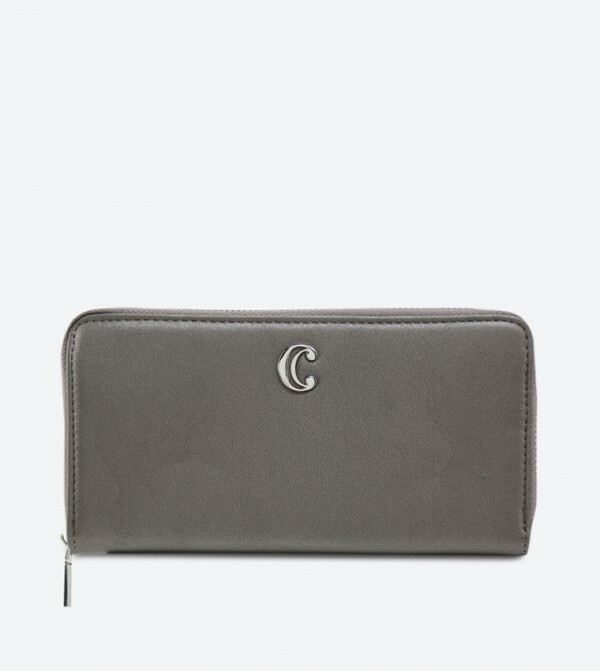 Grey in color, this wallet for women by Charming Charlie is created for fashion elites. Displaying a sleek and structured silhouette with a zip closure, it will accommodate hard cash, credit cards, business cards and other essentials in a safe manner. Crafted from polyurethane, it assures durability.